Circadian rhythms are mental and physical changes that naturally have a 24-hour rhythm, mostly governed by changing light exposure. 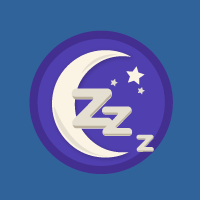 Circadian rhythms affect sleep cycles, insomnia, hormone release, weight, mental health, and many chronic diseases. Cortisol is supposed to peak in the morning (making you feel awake) and slowly decline over the day until by bedtime, you’re sleepy. People with diabetes and several other chronic diseases have “flattened” cortisol, with lower highs and higher lows. There’s some evidence that this actually contributes to causing the diseases (obviously diseases like diabetes have many causes, but circadian dysregulation is one of them). 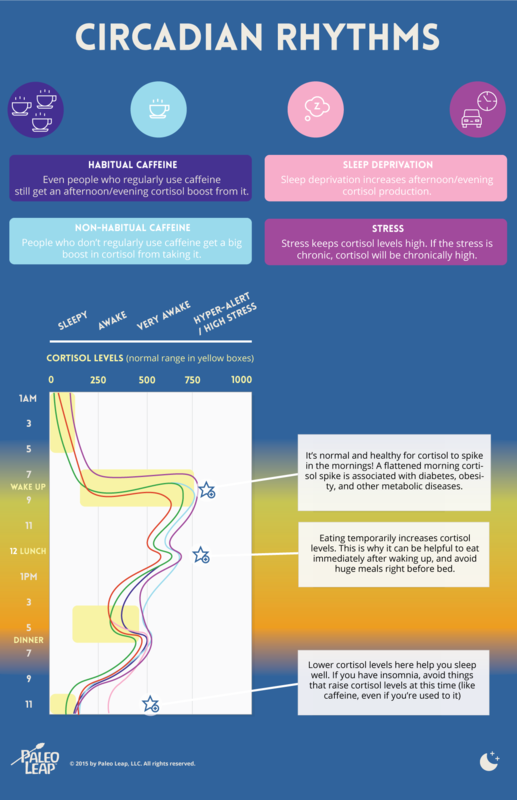 This infographic compares healthy and diabetic cortisol, and lets you change inputs like sleep and caffeine to see how they affect circadian cortisol patterns. You can also view an alternate version here if, for some reason, you can’t view the infographic in your browser. Note: the green curve represents normal cortisol patterns and the red curve represents cortisol patterns seen in diabetes. Can’t view the infographic after 20 seconds? Click here for an alternate version.